It's difficult to find any statistics on it, but Canadians have likely encountered the "one issue per visit" rule in a doctor's office or know of someone like Christina Gilman who has. Last week, the Brantford, Ont., mother of four tweeted a picture of a new notice displayed at her children's family doctor's office, advising patients to limit their appointment to "one issue." Her story has triggered strong responses from patients and doctors who either support the practice because it reduces the time other patients have to wait, or disagreed because it could deny patients adequate care. Andrea Harding of Fredericton, one of several people who responded on Facebook to CBC's story, described a similar experience with her doctor's office. "I called to make an appointment, after saying the first thing, I mentioned the second thing, which was closely related to the first reason and was told that I would need another appointment!" she wrote. Liz Denner Roche of Calgary also said she has encountered the "one issue" rule, but added, "apart from walk-in clinics, I've never found this to actually be enforced." Dr. Aruna Dhara says the controversy highlights how both doctors and patients are failed by the fee-for-service model — the payment system where most family physicians bill their provincial government for each visit by a patient. 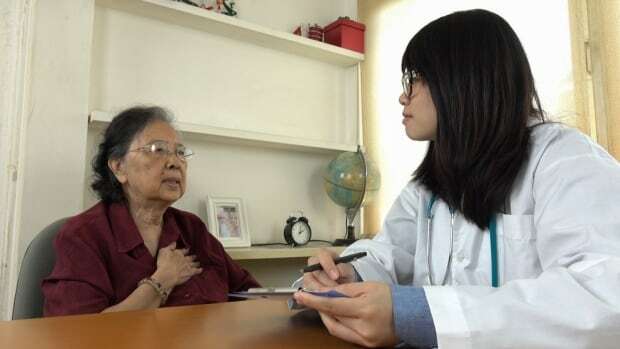 The Halifax-based doctor and researcher said billing codes don't reflect the complexity of caring for patients as a family physician. "I sat and grieved with someone as their loved one was dying. I held their hand. That is something that I do. How do you bill for that?" she said. Dhara would not comment on whether it's appropriate for fellow doctors to impose such rules in their offices, but said the debate suggests there is no "consensus" in Canada on what is expected of family physicians. While there are no specific restrictions on whether a doctor can limit the number of problems a patient can bring up during a visit, some regulators have urged caution regarding the practice. Dr. Eric Cadesky, the president of the British Columbia Medical Association (BCMA), which represents physicians, said the group "respect[s] the autonomy that each doctor has in terms of caring for their patients." But he also called limiting patient visits a "symptom of the fact that primary care has traditionally not received the resources that it needs because the costs of running a small business, which is what family practices are, has gone up." The BCMA has been advocating for a "team-based approach" to family medicine as one solution. In a pilot project in Vancouver, a clinic has eight family doctors, two nurse practitioners, two visiting psychiatrists and a nutritionist. The approach is part of the association's recently negotiated agreement with the B.C. government and details have yet to be worked out about how physicians would bill the province for their services. Such a system would be voluntary, and may not be available everywhere in the province. Team practices are already in place in other provinces such as Ontario where they are popular among patients and physicians, although a review by the Conference Board of Canada concluded it was too early to determine if they actually improved patients' quality of health in the long run.